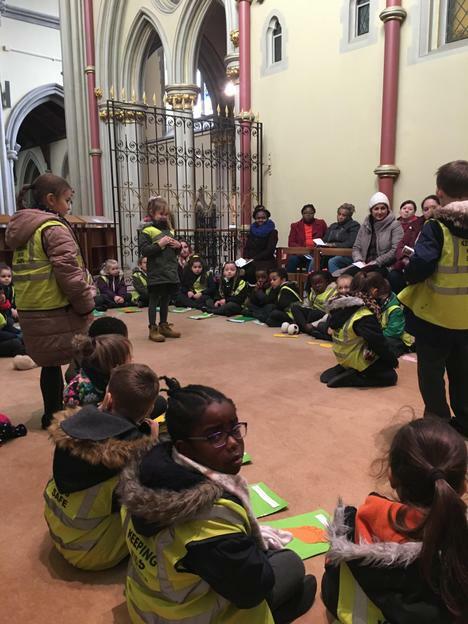 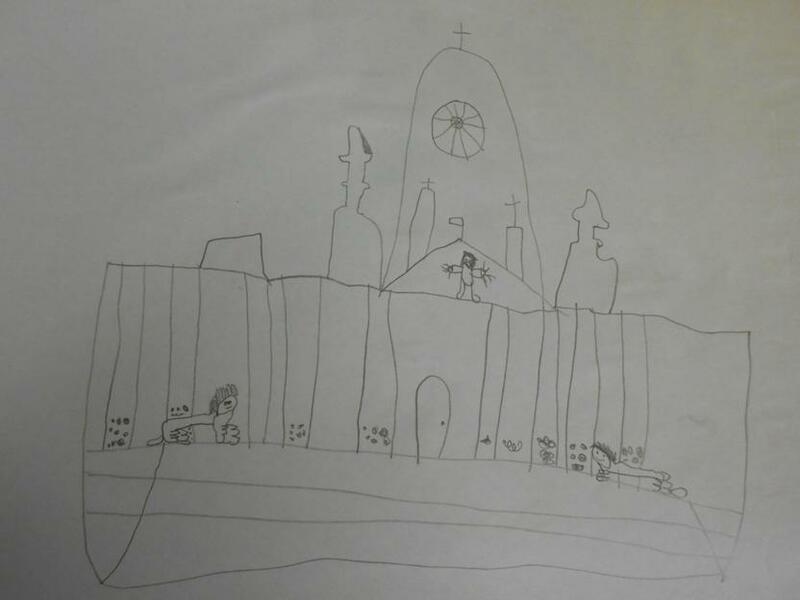 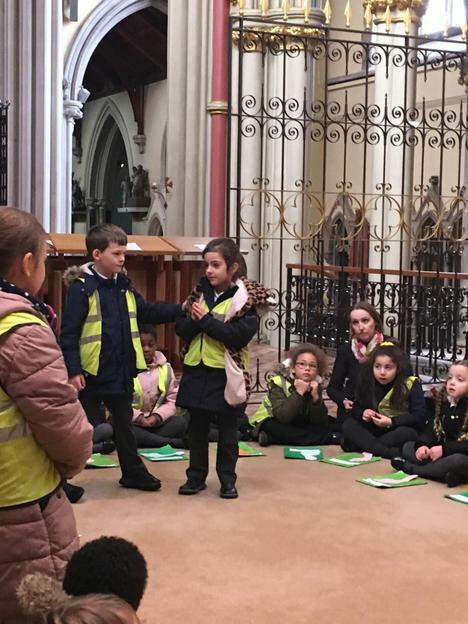 Year 1 gave a fantastic liturgy on the lessons we can learn from the parable of The Prodigal Son. 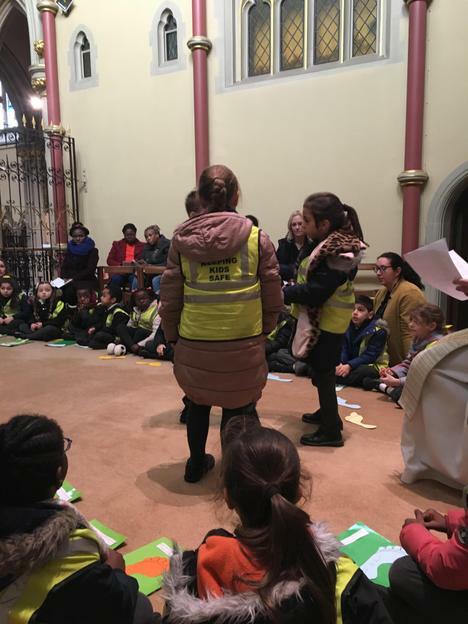 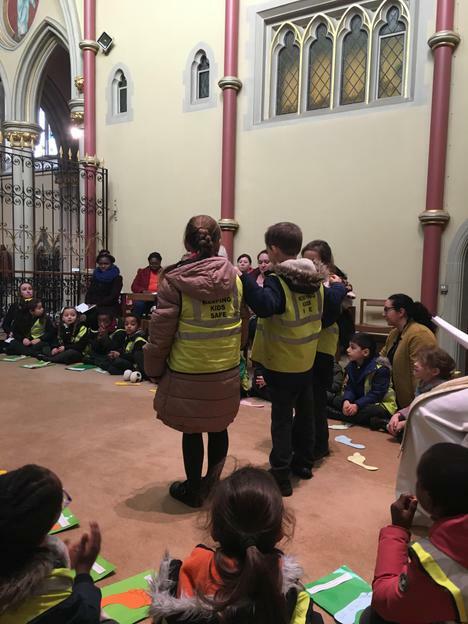 They were very ambitious and acted out the parable whilst Father Phil read the scripture. 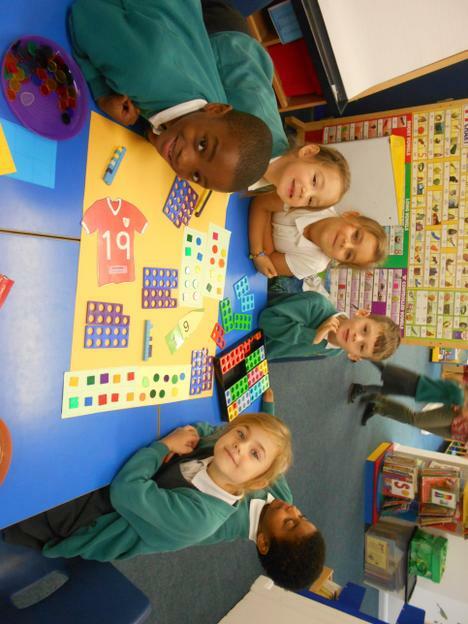 Such a sensible and talented class! 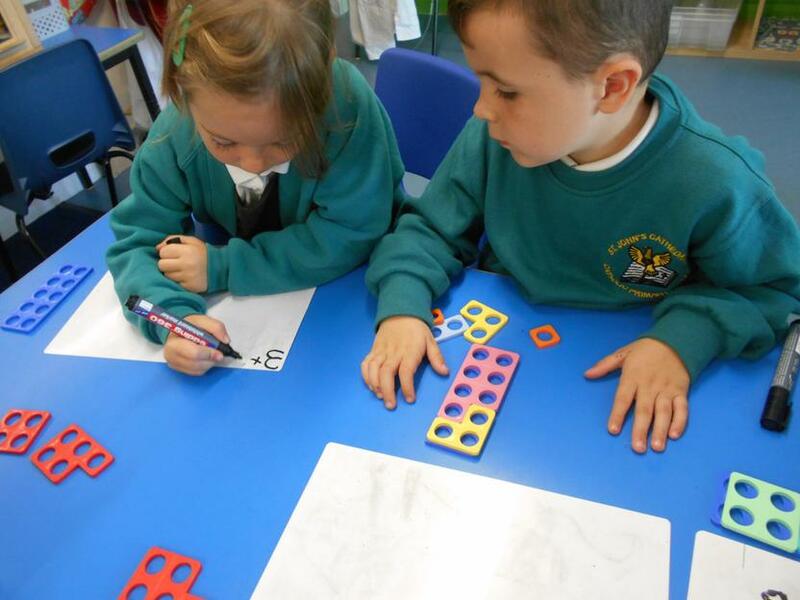 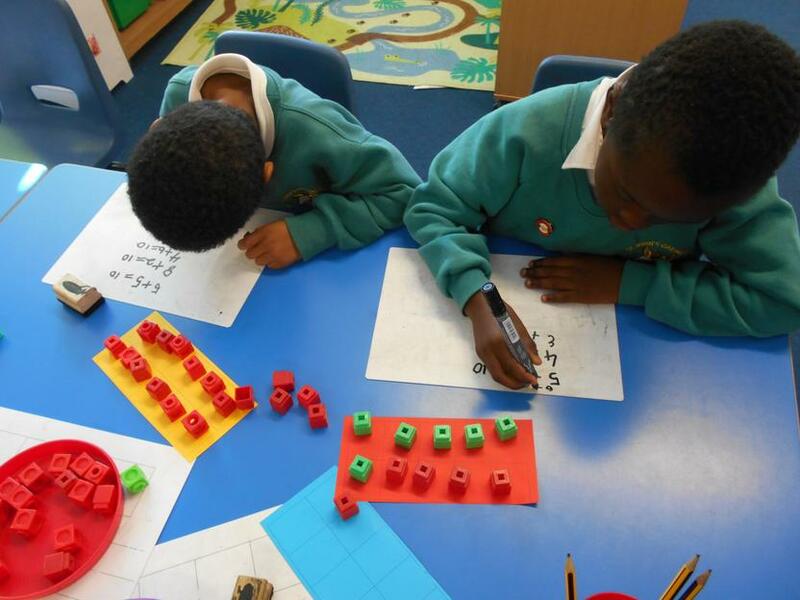 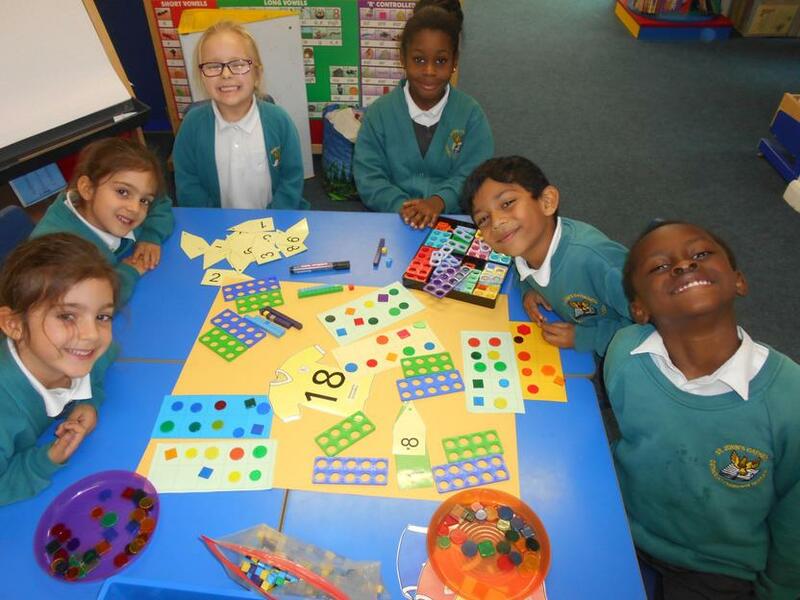 In Maths, we have explored number bonds of 10 using a wide range of apparatus such as tens frames, part part whole models and numicon. 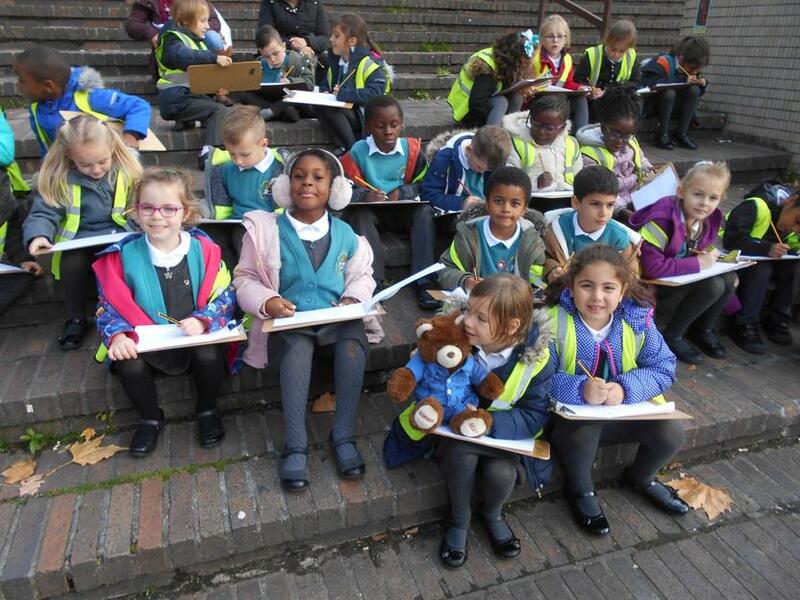 As part of our Geography topic, Barnaby Bear came to visit us. 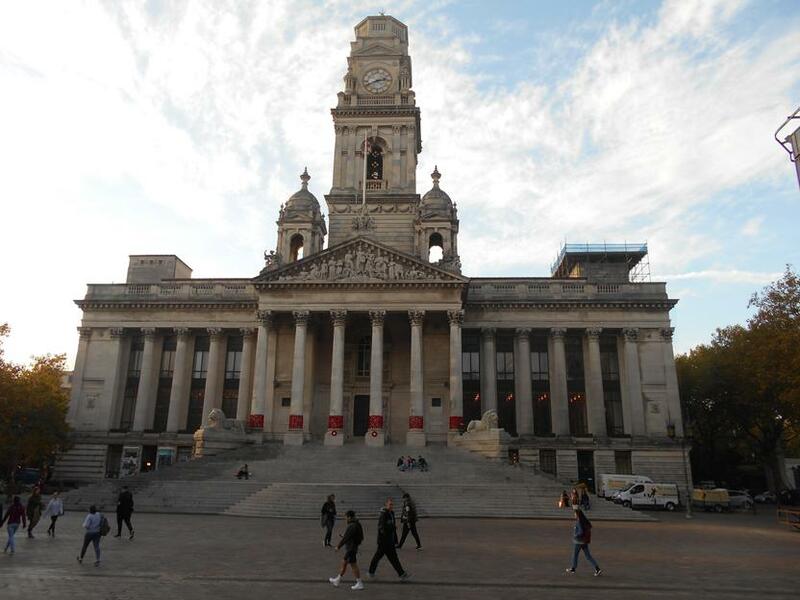 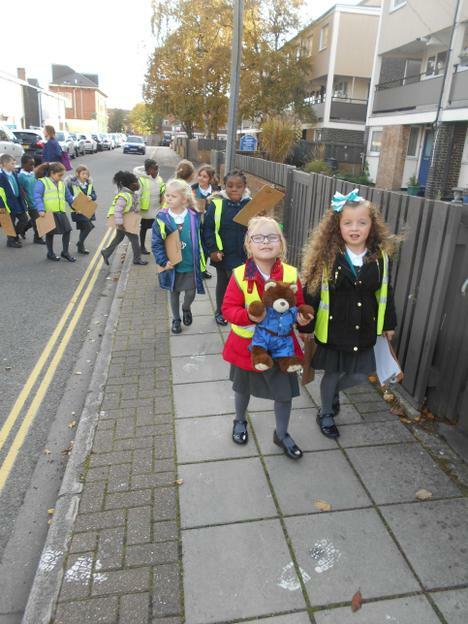 We went for a walk around our local area and showed him some important features in Portsmouth: the town, the Guildhall and the park. 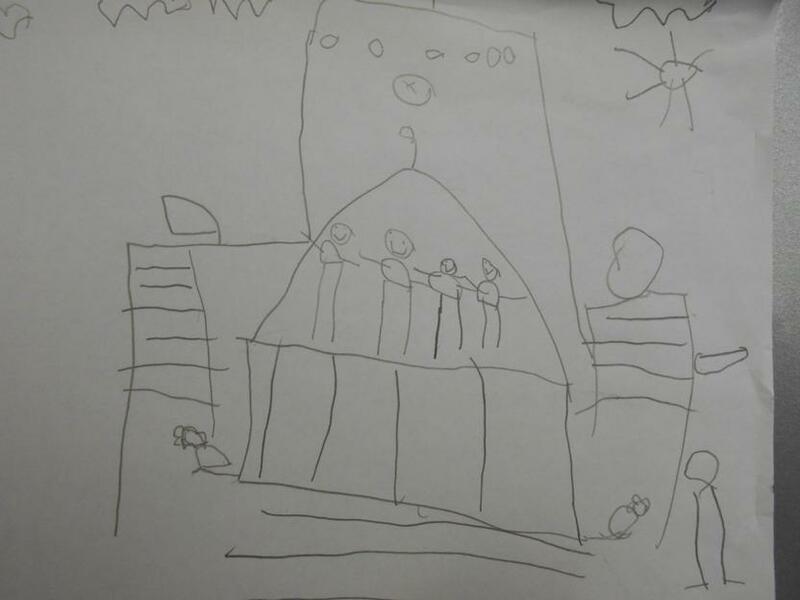 We recorded the different types of shops that we saw and sketched some fantastic pictures of the Guildhall. 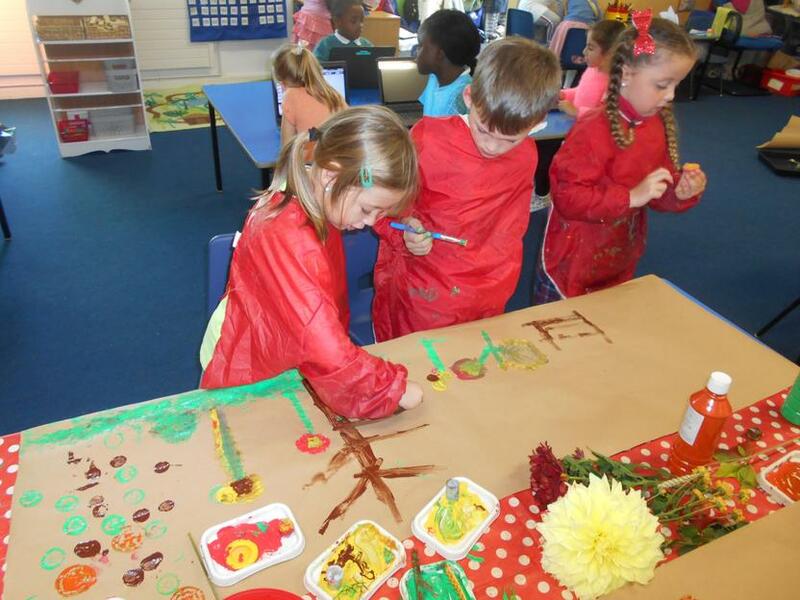 During our artwork we were inspired by the flowers that we saw. 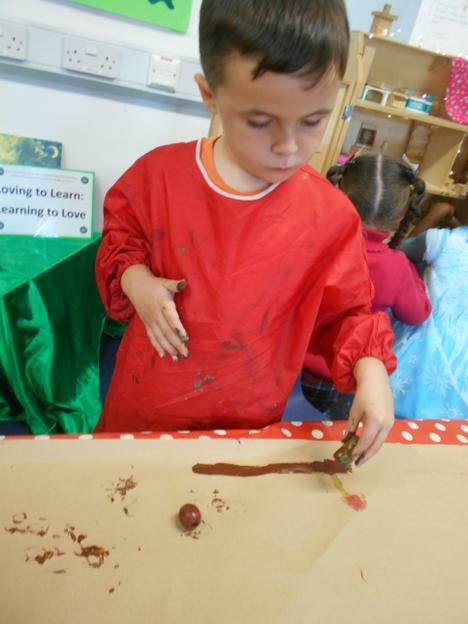 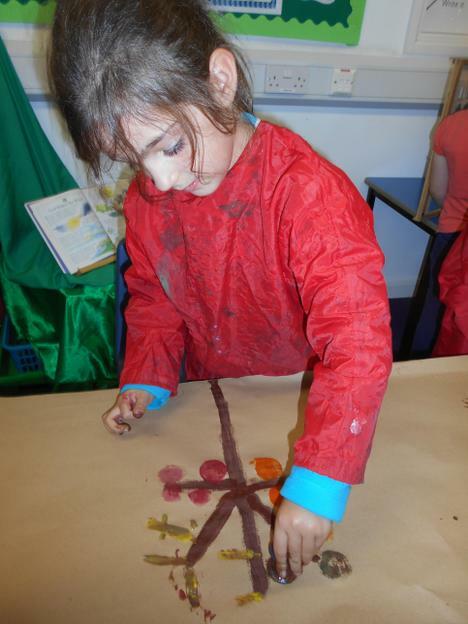 We used a variety of familiar objects to print with and experimented how they could be used to create flower pictures. 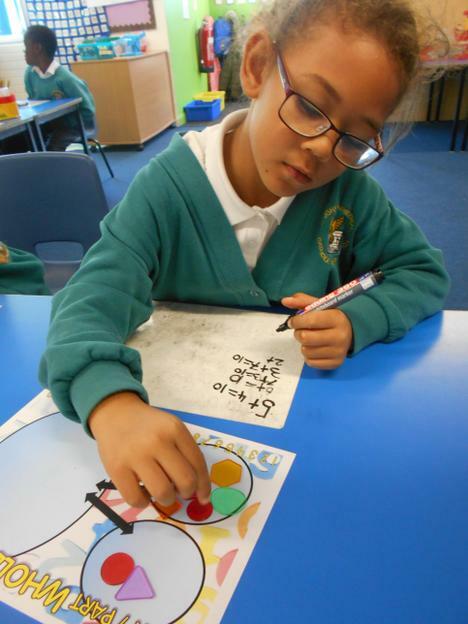 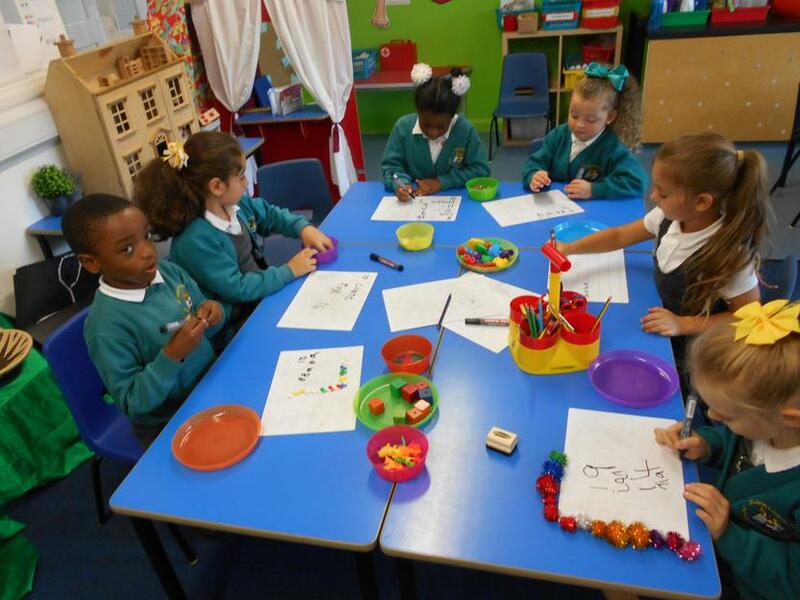 Year 1 have started the year by learning all about themselves. 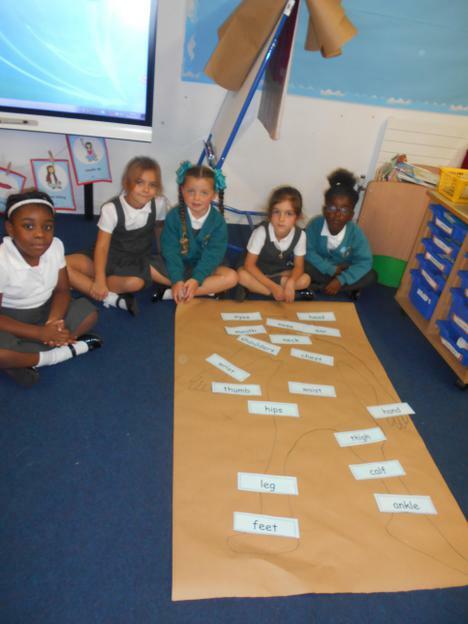 We loved drawing around each other and naming the body parts. 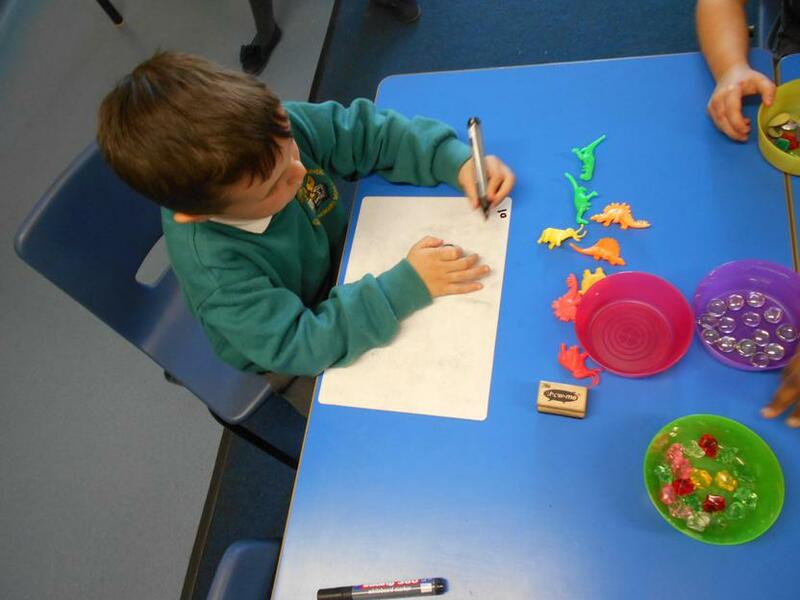 After reading Funnybones by Allan and Janet Ahlberg the children used art straws to create skeletons. 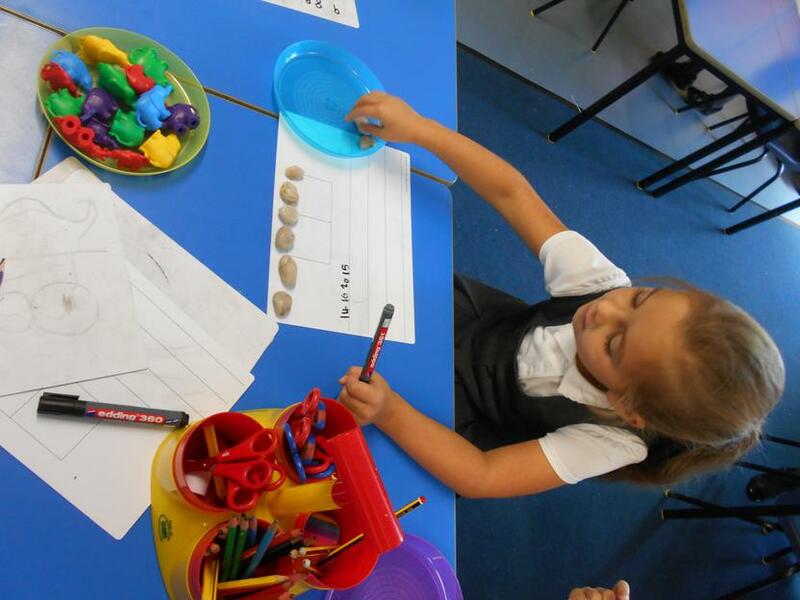 As mathematicians, we have been counting to 20 and beyond. 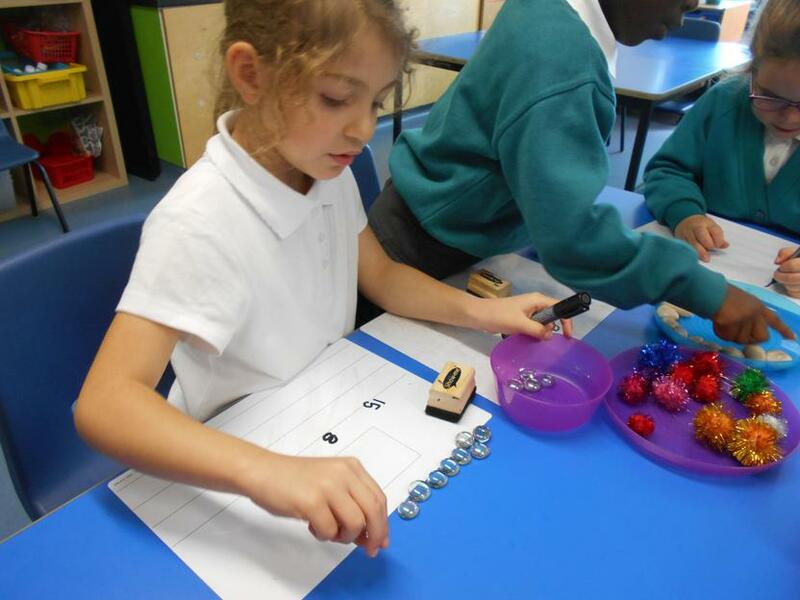 We have been thinking especially about finding out 1 more and 1 less than different numbers.